By Peter Anderson 7 Comments - The content of this website often contains affiliate links and I may be compensated if you buy through those links (at no cost to you!). Learn more about how we make money. Last edited December 13, 2018 . At the end of last year I had a need for a wireless data hotspot, and originally I ended up buying one through my prepaid wireless phone provider, Virgin Mobile. At the time the hotspot was close to $100, and it came with a $35 monthly data fee for 1GB of data. While that hotspot worked fine, I was determined to find a better, and cheaper alternative. In doing research online I found a new wireless data service from FreedomPop. FreedomPop was a wireless data provider with a twist – their lowest level data plans were free. Let me say that again.. FREE! After buying their wireless hotspot for about $40, (which is the exact same one I had with Virgin Mobile by the way) I was able to dump my prepaid data plan and have 500MB of free wireless data ever month for free. After connecting with friends through their “Freedom Friends” program to get extra free data, i was able to boost my amount of free wireless data to 1GB every month. I've been very happy with the service since I signed up. It has allowed us to cut the cost of data from our wireless bill down to zero, and the coverage here in the Minneapolis area has been great. I've gotten consistent and fast speeds with their 4G device, at times the speeds were faster than our old slow DSL connection before we moved. The only problem I've had in the last year was when we used the device for a couple of weeks as our main internet connection at home before we had our new connection hooked up after moving. We ended up going over our alloted data amount after my son streamed some Amazon Prime TV shows, and the device stopped working until we upgraded our package. Even after upgrading the connection we only ended up spending about $35 that month. So how does FreedomPop make money and stay open? They're a “freemium” service where they make money when people buy upgraded data packages. 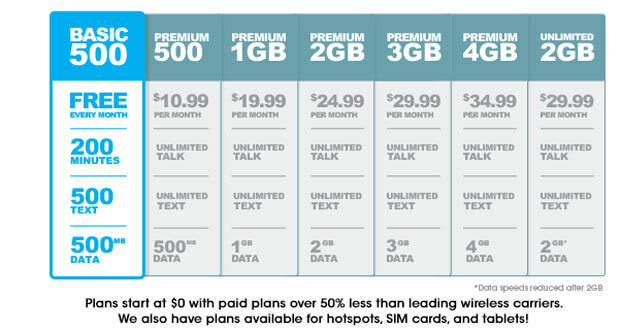 So the base package is free, but if you want 1GB, 2GB or 5GB of wireless data, you have to pay for it. Their rates for those packages are still much lower than most other providers I've checked. I think it is definitely worth it, even if you're a heavy user of data. 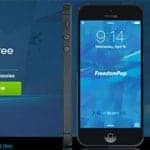 FreedomPop Now Has Free Cell Phone Service! A while back FreedomPop made an announcement that has the potential to turn cell phone service as we know it on it's ear. They announced their new freemium cell phone service, and launched it on October 1st, 2013. They'd been hinting at a cell phone service for a while, but the details of the service haven't completely been fleshed out until now. Like their wireless data packages, the cell phone service will also be a freemium service with their base cell phone package being free, and then upgraded packages being available with more minutes, texts, etc. The interesting thing about how FreedomPop cell service works is that it will run voice calls through the 3G or 4G wireless data connection, unlike a typical cell phone that runs calls through a voice network. Apparently this allows them to make cell phone calls much more affordable. “We’re not touching the voice network at all,” FreedomPop VP Tony Miller explained. “If we were to go with Sprint’s voice network the cost of the deal would be orders of magnitude higher, and the free plan would between $15 and $20.” All of that backroom wheeling and dealing remains transparent to the end user though, as they can use the stock Android dialer and messaging apps just as they always could. So the phone uses the wireless data connection to make phone calls, saving FreedomPop, and you, money in the process. At launch FreedomPop only had one phone available to purchase, the HTC Evo Design 4G. 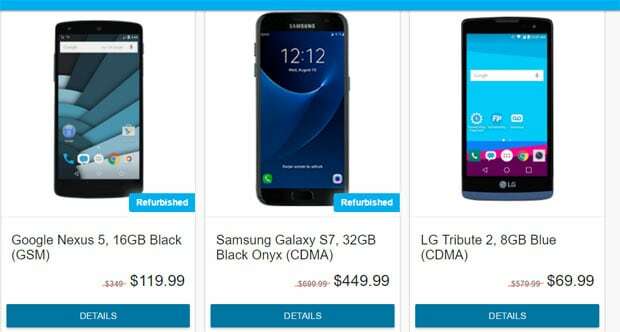 The phone is no longer available, but now a few years later FreedomPop has a wide range of phones available from iPhones to the newest Samsung Galaxy phones. The phones cost anywhere from $49 for a low end smartphone all the way to the most recent iPhone 6 and 7 for around $600. FreedomPop also allows you to bring your own device, and to buy your own SIM card from them if you prefer. When it comes down to it there is a phone for every need. So here's where the rubber meets the road. How much are you going to be paying for the service? If you're a low user of cell phone service the answer is likely going to be nothing, $0. Free. If you talk a lot of do a lot of texting, you may have to spend a bit more, but still not very much. There are family calling plans are also available now, with anywhere from 1GB of shared data for free and only $5 per line, all the way up to 25GB of shared data for $159.99/month. Worth checking out if you've got a large family! The real question about the FreedomPop cell phone service is, how good will the call quality be? Will it be as good as a regular cell phone, or will it suffer from some of the glitches that VOIP is sometimes known to have like latency, calls being lost, etc? I guess time will tell. For now the FreedomPop phones are running on the Clearwire WiMax 4G network, which is owned by Sprint. So if you have good WiMax coverage in your area, you'll likely be just fine. In my area the covereage is pretty good and the wireless hotspots have had no issues. Eventually FreedomPop says they'll be getting LTE coverage as well, but who knows when that will happen. 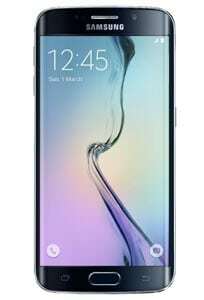 I just bought one of the phones this week and am waiting for it to arrive. I'm excited to crack it open – stay tuned for an un-boxing and review soon! If it works well we may be able to completely get rid of our monthly wireless bills! From the $100+ we used to pay to zero! Would you consider using a free cell service like FreedomPop? If not, what holds you back? This service is VoIP over sprint wimax service. Not to be confused with VoIP over WiFi. So wimax coverage is essential. In our area here it is very limited. But for areas that have coverage it looks like a great idea. Free is great, but I would avoid any VOIP service if you care at all about call quality. Voice over IP is great in theory, but sound waves over an internet network just doesn’t work very well unless its some private, internal corporate setup. We use VOIP via Ooma for our home phone service and it works great. We did have some issues at the start with call quality, but that was in part because we had a slow internet connection. After we moved our connection was upgraded, and the sound quality is great ever since! I’m interested to see how it works out though! Sorry, I forgot to mention Peter, that it would be nice if you dated your posts. This is the second one that I have read, and you only speak of dates in relative terms : Last week I found this out; A year ago I… etc. 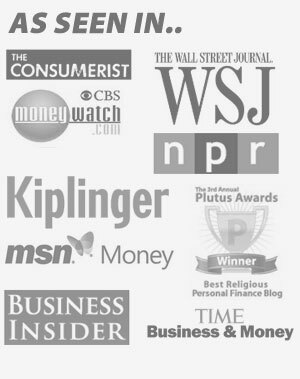 Thanks so much for your informative reviews (both on your blog and on YouTube). I’m an existing FreedomPop user and I’m happy with the service so far. I’ve got Freedom Spot – Photon that I use when I travel. I’m going to purchase one for testing and possibly give to my relative if it works out great! Here’s an update. I bought two (2) FreedomPop Evo 4G’s for myself and a relative. I will test when I get these and I’ll let you know how they work out. Next Post: How Much Should You Invest In Your Children’s Activities for a Chance at a College Scholarship?